[prMac.com] San Diego, California - Independent developer and sole owner of Verto Studio LLC, Michael L. Farrell is thrilled to announce the launch of Verto Studio Cloud, a revolutionary, scalable 3D cloud service for free to all users of Verto Studio 3D 2.1. Serving as a one-stop platform for development and sharing of 3D content, Verto Studio Cloud is expected to be a big hit among users of the already-popular 3D mobile modeling software. Verto Studio Cloud allows 3D artists and mobile game developers to rapidly share designs, proof-of-concept work, or final assets with team members all over the world with just a single tap. In addition to the Verto Studio Cloud launch, the 2.1 update of Verto Studio includes an "app within an app"; a shape editor feature which serves as a fully functional system for creating precision 2D shapes with features such as snap-to-grid, bezier curve manipulation, background image tracing, and SVG import. This allows artists that are more familiar with 2D design, an easy entry into the world of 3D modeling by designing shapes in a familiar 2D setting, and converting these shapes into polygonal 3D meshes. 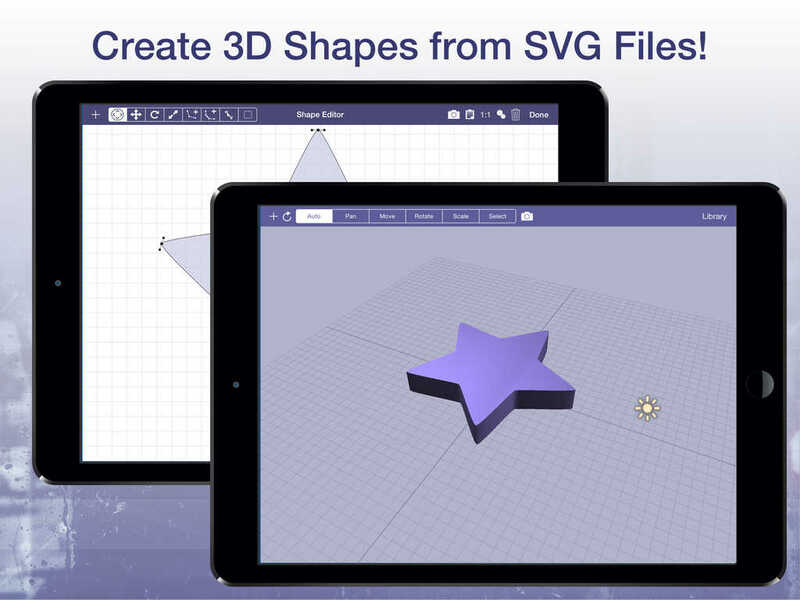 Additionally, this aids the increasing industry trend of all-mobile work pipelines allowing users to create 2D artwork in their favorite vector drawing graphics apps on the iPad and exporting their work directly to Verto Studio 3D via SVG import. As a proof-of-concept of Verto Studio 3D's powerful capability, this year, Michael L. Farrell used Verto Studio 3D to develop and launch a 3D desktop game entirely on his own. In a 6 month period, all of the importing, modeling, texturing, and shader development needed by the game project was completed using Verto Studio 3D on the iPad and on the Mac. "I wanted to prove that this product is anything but a typical mobile app ... So, I figured the easiest way to accomplish that was to develop an entire game using the technology", stated Farrell. Located in beautiful San Diego, California, Michael L. Farrell is an indedpendent developer with over 10 years experience developing games on the Mac platform. His main focus is developing up to date, educational software tools for the iPhone and iPad platforms. Copyright (C) 2015 Michael L Farrell. All Rights Reserved. Apple, the Apple logo and iPad are registered trademarks of Apple Inc. in the U.S. and/or other countries.